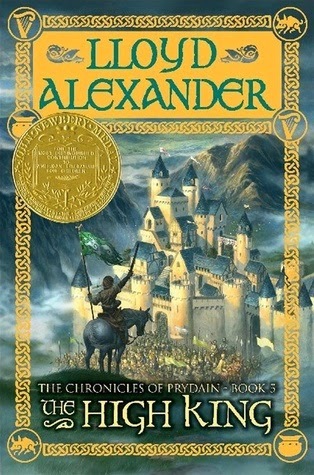 The High King is the culmination of Lloyd Alexander's classic coming-of-age series. Taran has grown from a hero-obsessed boy, hoping to earn glory and honor by wielding a sword and conquering enemies, to a thoughtful, serious man, reluctant but willing to lead and fight when necessary and determined to fulfill his commitments, no matter the personal cost. As Taran has matured, so has the story. Hard choices have to be made, characters we love are lost, and evil gains the upper hand, seeming to win the day. (Slight spoiler, though no one should be surprised, good does triumph in the end.) But all in all, The High King is, I think, the strongest book of the series. The plot is fast-paced and holds together well, the characters and the relationships between the characters are clearly drawn and believable and almost all of the main characters experience growth and change (even Glew!). The story flows so well it's hard to put down. The message that what is important is not always easy, but there is joy to be found in the journey and in one's own integrity is a beautiful and powerful one. On to the next adventure! I first read the Harry Potter books to my oldest a good five years ago. He loved them, but his two younger brothers weren't quite old enough to appreciate them. So we decided to pick up Harry Potter and the Sorcerer's Stone again. We finished it a couple of days ago and watched the first half of the film version last night (we'll finish it up tonight - it's two and a half hours long!). I'm excited to be delving into the series again for the fifth (sixth?) time and it's a joy to watch my younger two hear the stories for the first time. I completed the 30 Days of Yoga challenge on Yoga with Adriene as well as working my way through her Foundations of Yoga series of videos on youtube. I noticed a definite improvement in my flexibility and posture over the six weeks or so, and really enjoyed taking some quiet time for myself in the mornings before everyone else got up and going. It was remarkably centering and calming, while also getting my blood flowing and waking me up for the day. A few times one child or another would wander in and my standard response was "yoga is not a spectator's sport - join me or go find something else to do!" They even joined in a time or two! I'm looking forward to exploring more of Adriene's videos and continuing some yoga and meditation practice. The second part of my Lenten change, the 40 Bags in 40 Days challenge, stalled a bit toward the end. I got through my kitchen, living room, bathrooms, the kids' closets and clothes, and most of my bedroom and closet, and made several runs to the closest Goodwill donation center. It felt great to get rid of "stuff". 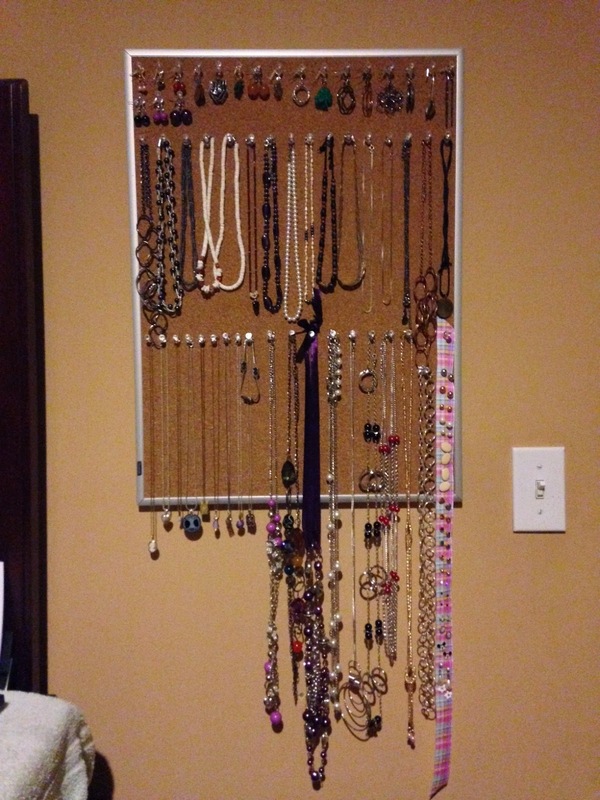 I also made a jewelry organizer; I LOVE being able to see what I have instead of it being crammed in a jewelry box or in small boxes in my drawers. The only problem is it's already full! Through this process, though, I've gotten a little better at recognizing what I'm hanging on to that I don't need and what I can let go, especially when I know it can be better used elsewhere. And someday I will tackle the storage room(s). Really.